Home Tags Posts tagged with "Dental Sports Injuries"
It’s often said that an ounce of prevention is worth a pound of cure. Sports mouth guards can not only protect your teeth, but they can protect against many injuries that can occur in and around your mouth. Not convinced? 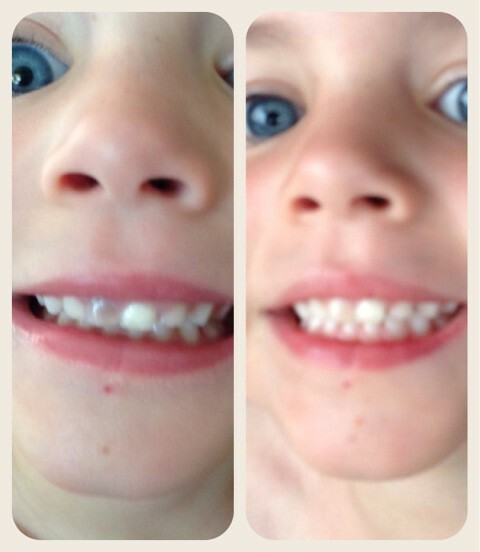 Six reasons why you should wear an athletic mouth guard. 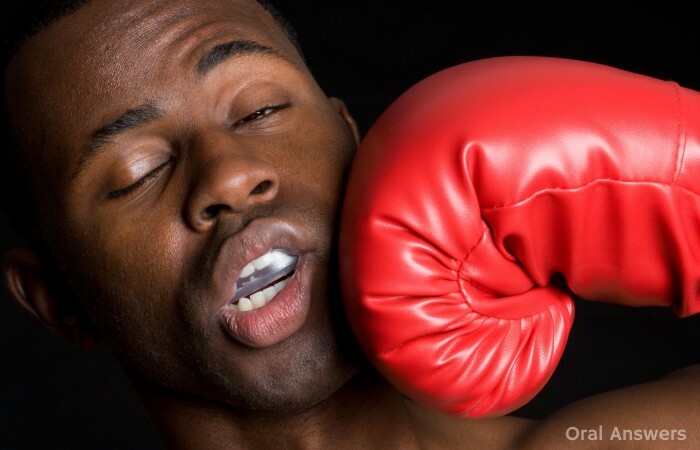 Although some sports are riskier than others, you should consider wearing an athletic mouth guard while participating in any sport where you could suffer a blow to the face. 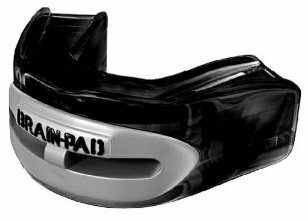 Some sports, such as football require a face shield as well as a mouth guard. 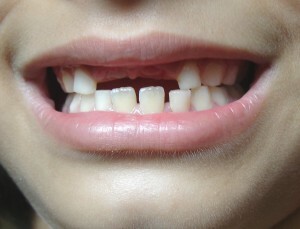 Other sports, like basketball, may not require a mouth guard, but wearing one could save your teeth. 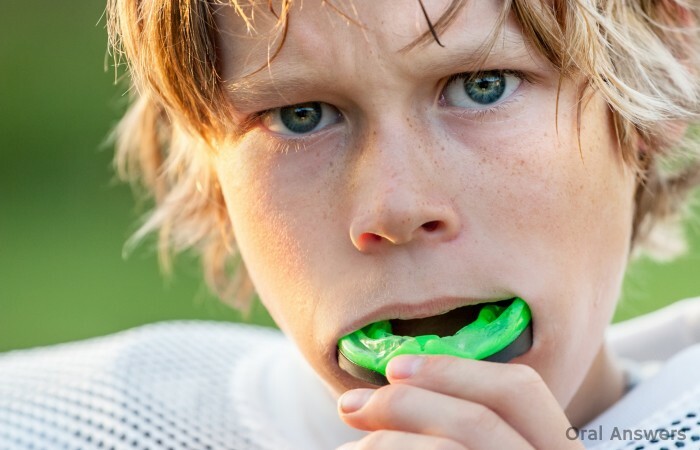 No you don’t always need to wear an athletic mouth guard when you play the above sports, but a mouth guard can help prevent serious dental injuries. I get it, nobody wants to be the dork that wears a mouth guard, but most mouth guard-wearing dorks do have better teeth! Do you have any questions, comments, or concerns about athletic mouth guards? Go ahead and leave them in the comments section below. Thanks for reading! Many parts of the United States have already had really hot temperatures this spring. 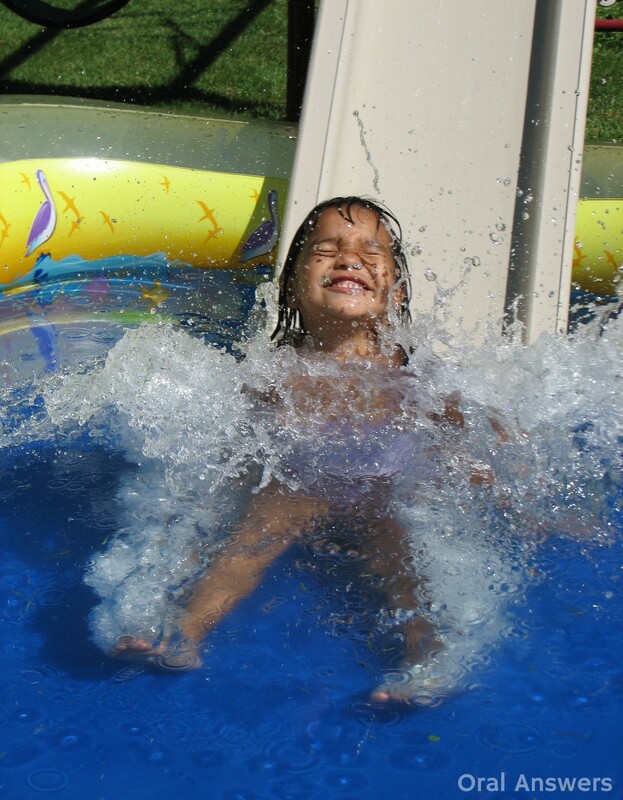 In spite of this, many swimming pools don’t officially open for the summer season until until Memorial Day weekend. 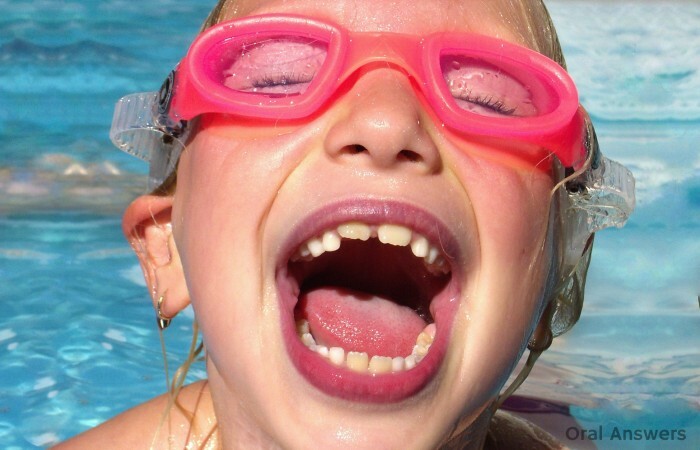 Since many people will be out swimming this weekend, I thought I would share a few tips on how to prevent dental injuries — keep your kids and their teeth happy by reading this article! What many parents don’t realize is that lots of dental emergencies happen at swimming pools. 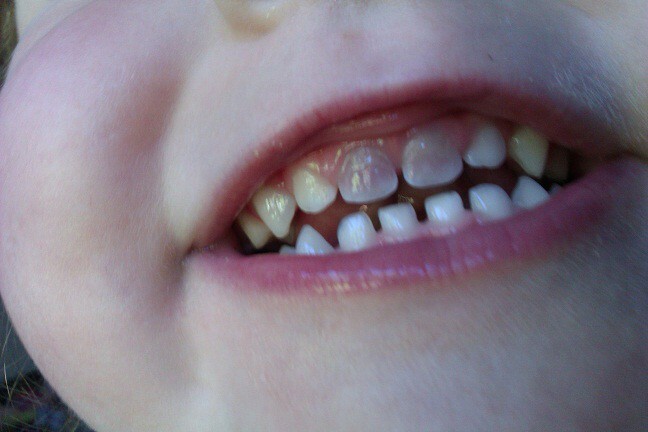 If you take a blistering hot day, add a few dozen kids, throw in a lot of hard concrete edges, and sprinkle in some water to make everything slippery, you’ve created the perfect recipe for a dental disaster! 1 – No Running! Make sure that your kids walk while in the swimming pool area. Most pools have No Running posted as one of their rules. 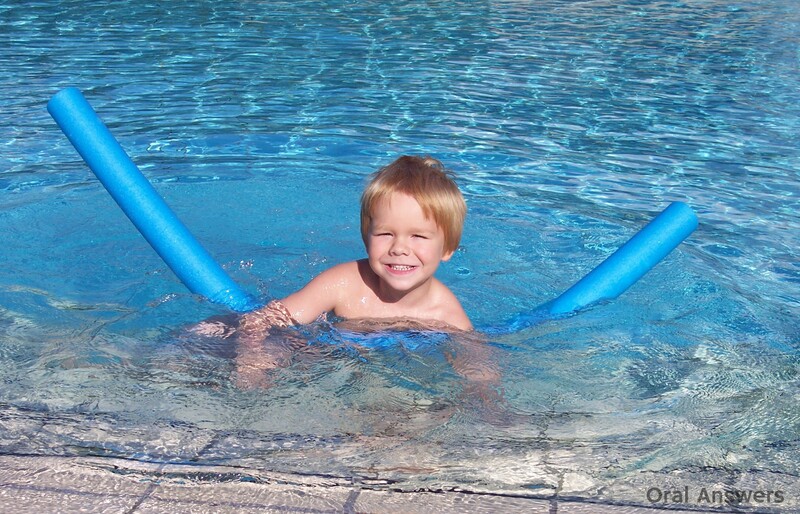 This is because water often gathers around swimming pools which makes things extra slippery. 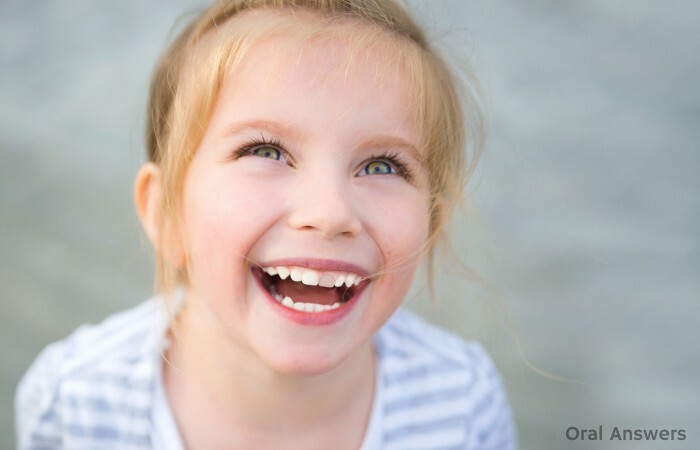 By making your kids walk, they will be less likely to slip, fall, and injure their teeth. 2 – Talk to Your Kids. 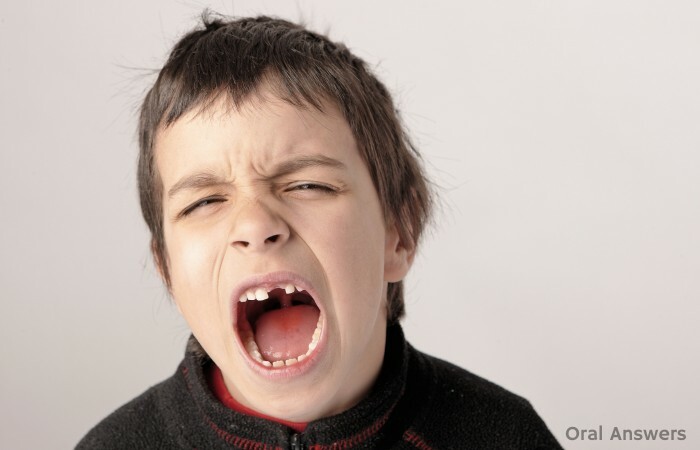 If your kids are old enough, tell them that they can hurt their teeth. 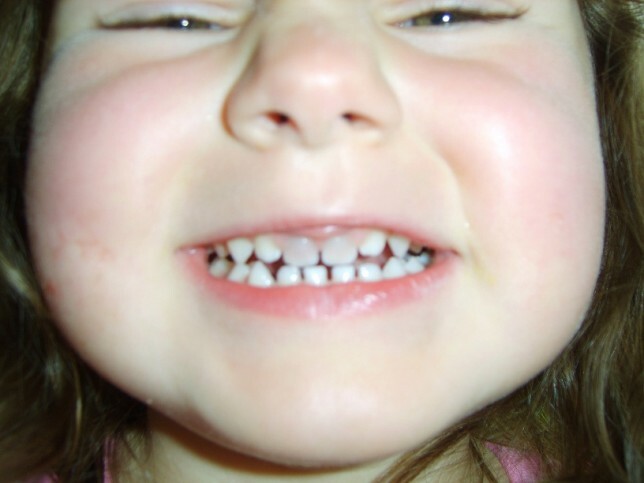 Many children don’t realize that teeth can chip, crack, and even fall out. 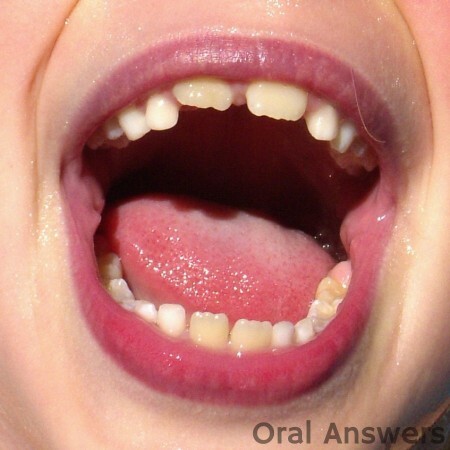 If you tell them what can happen if they’re not careful when climbing the ladder, or hanging onto the hard, www.onlinepharmacytabs.com concrete edge of the pool they will likely be more careful and this will prevent a dental injury. 3 – Don’t Play too Rough. If you are throwing your kids around in the water, they will be more likely to accidentally hit something that could hurt their mouth. 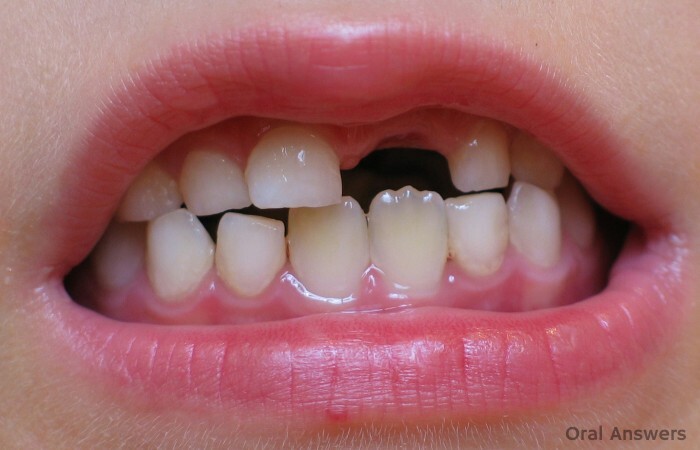 Even accidentally colliding with another child in the pool could be forceful enough to cause a dental injury! So be aware of your surroundings and find safe games and activities to do in the water. You also might want to put your dentist’s phone number into your cell phone so that you’ll have it in case a dental emergency occurs. 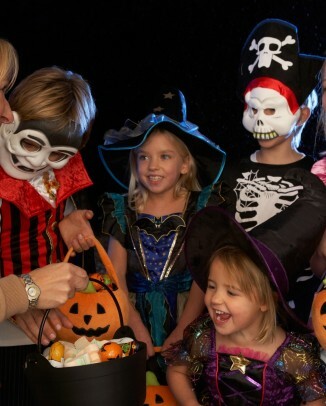 Most dentists have a system to reach them after hours if needed. 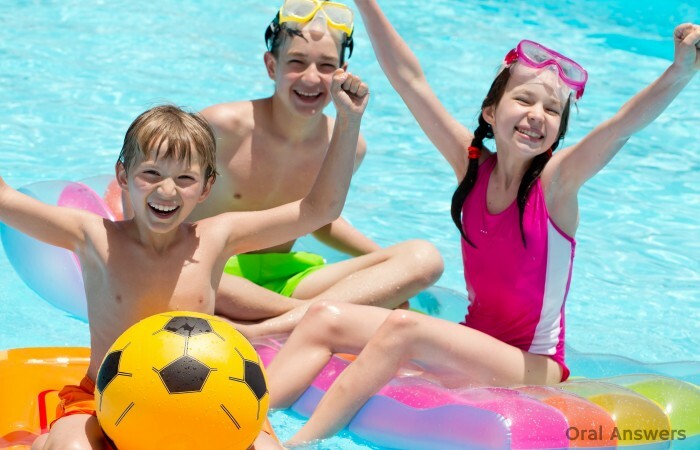 Have a lot of fun and be safe at the pool this summer! 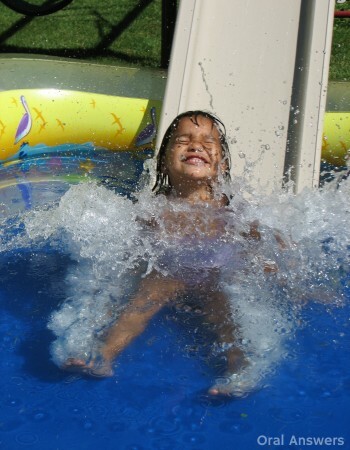 With a little extra caution, you can enjoy hours of water fun and stay injury-free. 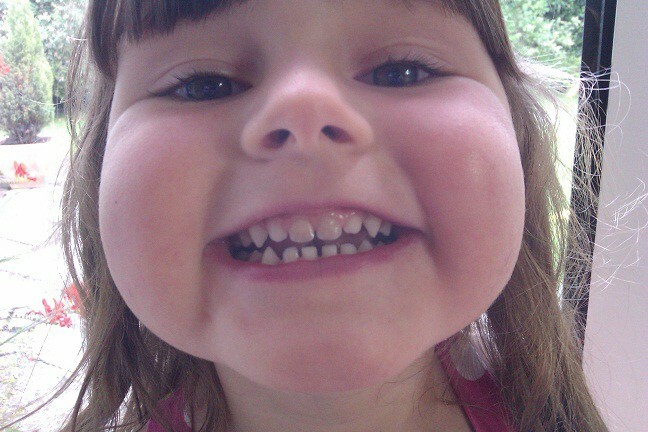 Do you have any questions, comments, or concerns about dental accidents at the swimming pool? Speak your mind in the comments section below. Have a great Memorial Day – I’ll be back with a new article next Wednesday. Thanks for reading! There are many reasons to have the protection of an athletic mouthguard. A mouthguard protects your teeth when you participate in physical activities that are potentially dangerous to your teeth and mouth. 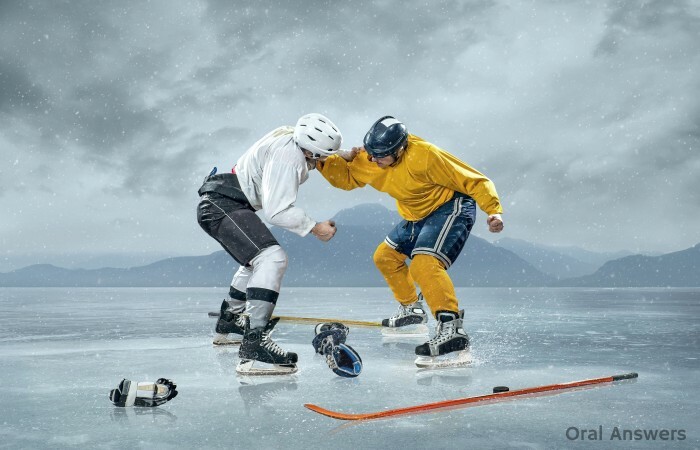 But, have you ever thought about what you are doing to protect your mouthguard? 1 – Protecting you during an activity. 2 – Being stored, awaiting its next use. Below, I will discuss some ways to care for your protective athletic mouthguard – whether it is being used, stored, or cleaned. Any time we have something in our mouths, we have a strong desire to chew. It’s just human instinct. When you have gum in your mouth, you want to chew. When food enters your mouth, you unconsciously start chewing it. 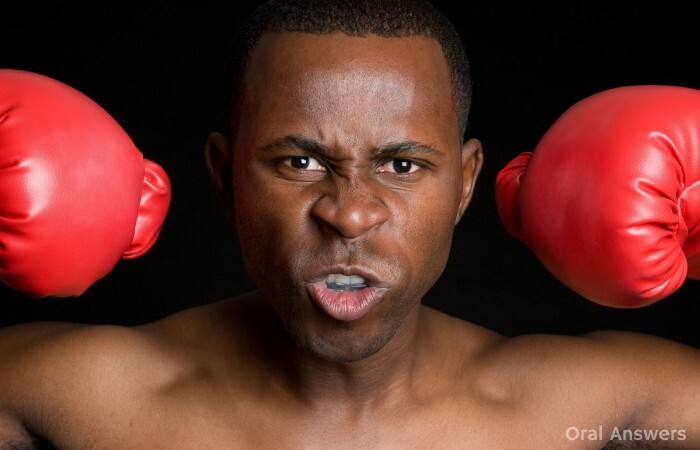 So it is easy to see why some get into the habit of chewing on their mouthguards, especially while participating in nerve-wracking sports games! Unfortunately, chewing on your mouthguard will drastically shorten its life. The associate dean at my dental school is an avid football fan. 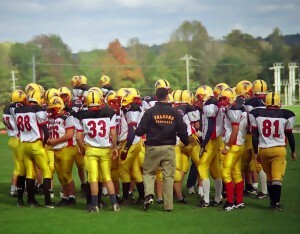 Many of the high school students in his community go to him to get custom mouthguards made. He told us the story of an excellent high school football player who would chew through his mouthguard each week while he was sitting on the sidelines. Consequently, the associate dean made him a new mouthguard before each and every game! While this player was fortunate to have a football fan for his dentist, you may not be so lucky and the cost of replacing mouthguards on a frequent basis can really add up. So, if you find yourself wanting to bite your mouthguard while you’re not in the game, try taking it out until you get back into the game so that you can extend its life. But please do remember to put it back in! Your teeth need protection. Once the game is over (and hopefully won), most players are focused on celebrating the victory and simply toss their custom mouthguard anywhere it will fit. Many high school football players get into the habit of storing their mouthguards in their face-guards, helmets, or backpacks. If the mouthguard is shoved in a tight place, it can easily get distorted. 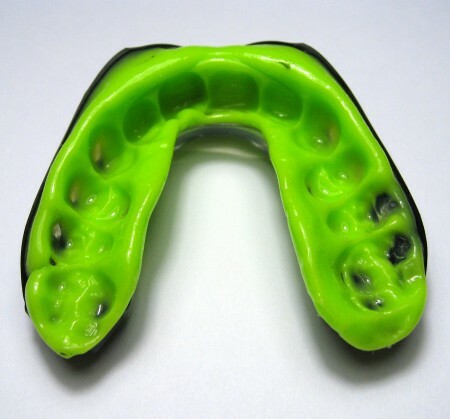 Since custom mouthguards are made out of a soft plastic, any unnatural pressure can distort them and will result in a poor fit the next time they are used. 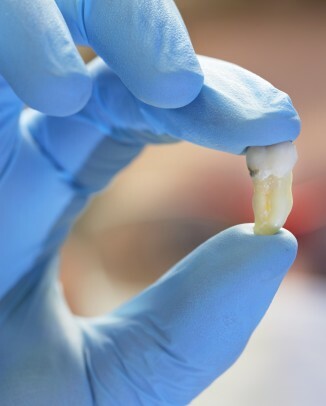 Ideally, you should get the cast of your teeth that your dentist used to make the mouthguard and put the mouthguard on that cast after each use. That way, the mouthguard will conform to the cast and retain its custom fit. 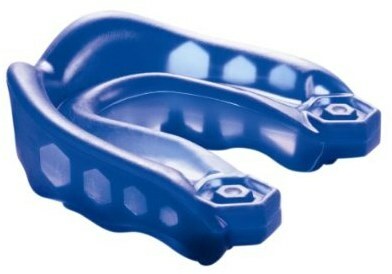 However, a more practical way to store your mouthguard is in a case that your dentist can provide. 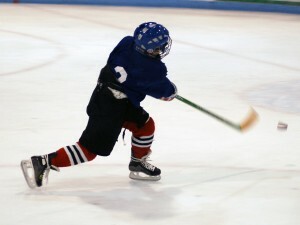 Be sure to keep it in a cool, dry place as heat can also distort your mouthguard. 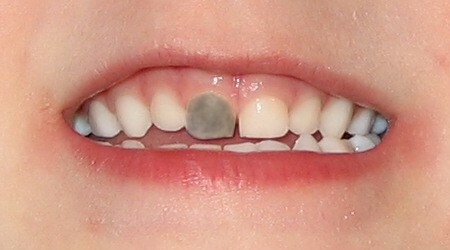 Leaving your mouthguard in a parked car on a hot summer day could also seriously distort it. 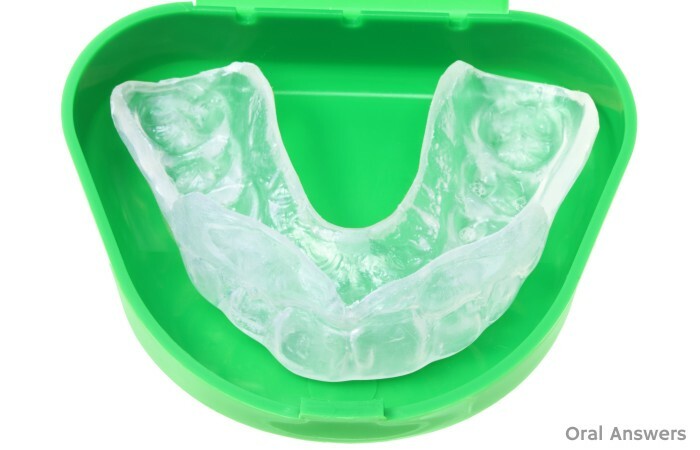 Hopefully, you’re not just using and storing your mouthguard without cleaning it! 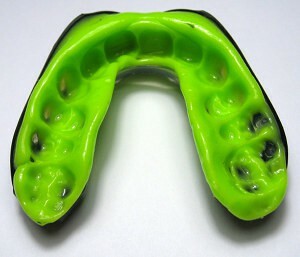 Like any dental appliance that sits in your mouth for a long period of time, custom mouthguards need to be cleaned. Without regular cleanings, bacteria will multiply and cause unpleasant odors to develop. This could even result in bad breath after wearing your mouthguard. After you are done using it, simply rinse it off with cold water. That’s all. Many people want to use hot water since they think that will get it cleaner. Remember, heat can distort your custom mouthguard. You may also be tempted to use alcohol, denture cleaning products, or toothpaste to clean your mouthguard. 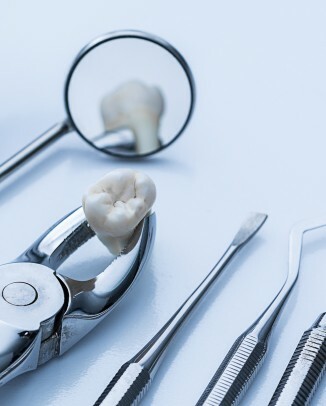 All of these cleaners can harm your custom mouthguard, especially the denture products and toothpaste since they are generally more abrasive. The book, Craig’s Restorative Dental Materials recommends periodically deep cleaning your custom mouthguard with a solution of soap and water. A mild liquid hand soap will work well for this. As long as you treat your mouthguard with care while wearing it, store it in a proper container, and rinse it with cold water after each use, you can expect to get a long life out of your custom mouthguard. 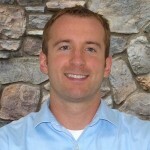 Do you have any questions or comments about caring for your custom athletic mouthguard? Please leave them in the comments section below. Thanks for visiting OralAnswers.com!